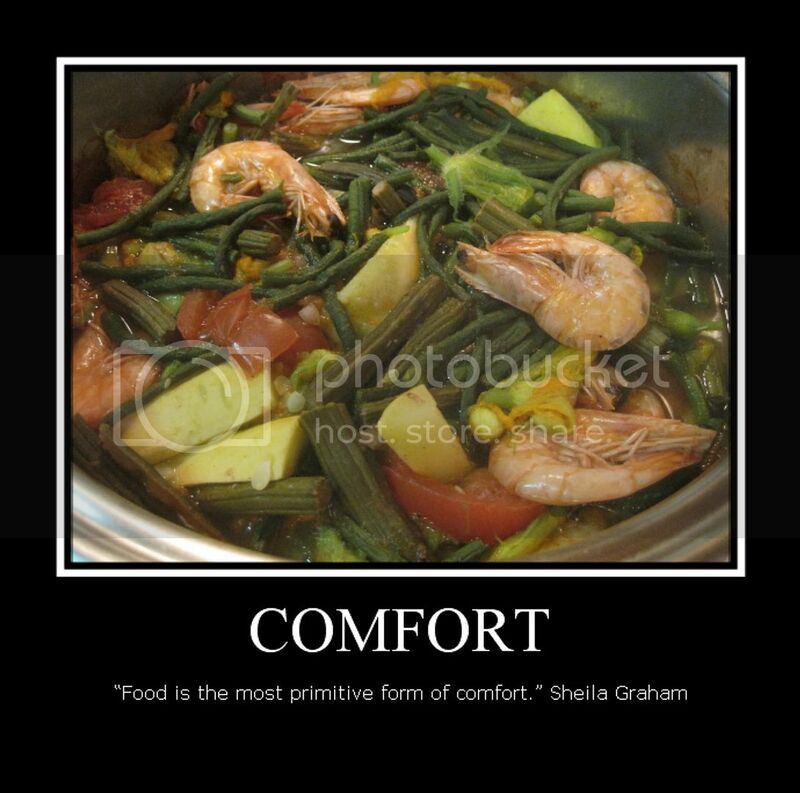 Everyone has their own form of comfort food. This one is mine. What is it? We simply call it ‘dinengdeng’ and it is a soupy stew of vegetables flavored with ‘bagoong’ (fish sauce). Everytime I have this dish, it takes me back to my childhood and it never fails to remind me of family and the comfort they bring. This is this week’s entry Food Quote Meme. Wow – your dinengdeng look so, so good! I’ve always loved Filipino dishes. I am an Ilocano and I always love this dish. It is one of the favorites among of the people in northern part of the Philippines. Thank very much you for sharing. My comfort food is your anti-spam word “sushi” 😀 I can eat sushi, sashimi and jap variations my whole eating life! Then again, i wont say no to dinengdeng!